You get tyre shops and you get tyre shops… And then you get Malas. To say that Malas Drive Style Centre is in a league of its own is an understatement. It has become a household name over the three decades since its establishment and its superstore, conveniently located on the corner of Visagie and Kgosi Mampuru (Potgieter) streets in Pretoria, has in the past ten years become a fixture of the Jacaranda City. On any given Saturday, 300-plus vehicles will pass through its substantial workshop, coming out the other side with fresh boots. 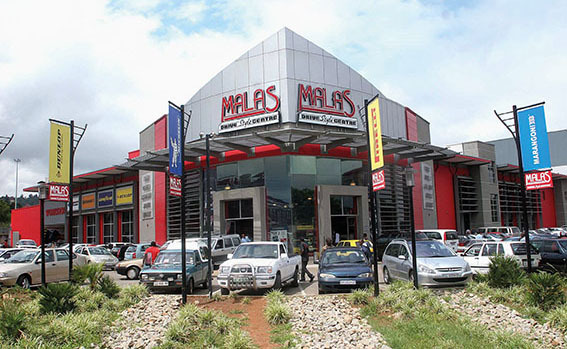 Malas stocks all major brands – as well as a few lesser-known ones – in every size, covering passenger vehicles, light trucks, lorries and buses. But it isn’t just about moving rubber – Malas also offers the expected balancing (and sales) of wheels and realigning of suspensions. 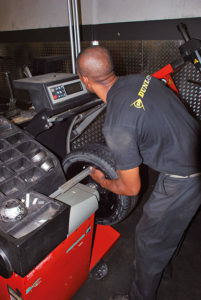 As part of the standard vehicle assessment, the staff will test shock absorbers, batteries and brake-pad wear, and replace all of these components if needed. The sheer scale of this multi-product, multi-brand operation is mind-boggling. 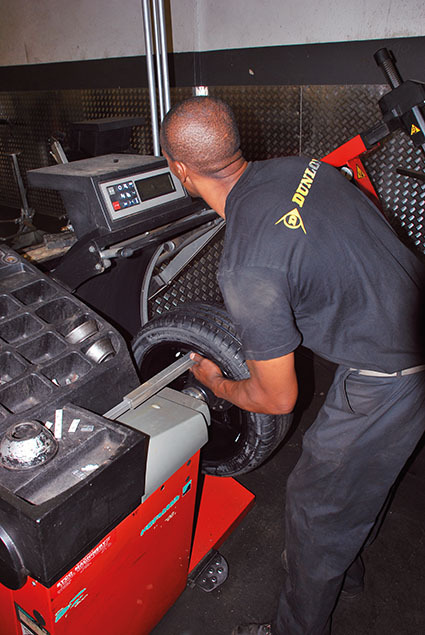 The business has recently invested in a major upgrade, fitting the very latest John Bean wireless wheel-alignment equipment, for rapid turnaround time and exceptional accuracy. 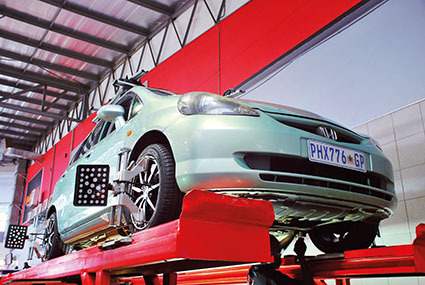 This upgrade led automotive-diagnostic and -repair experts Snap-On Equipment to name Malas ‘the largest and most advanced wheel-alignment centre in the world’. Even with an impressive total of 30 wheel/tyre-fitment workstations, five undercarriage bays, seven wheel-alignment bays and a separate space for balancing and tyre mounting, the 60-odd-strong workshop team is kept very busy. In order to ensure excellent service, training is also a key part of the Malas ethos, with AA-approved technicians receiving constant specialised training and development. 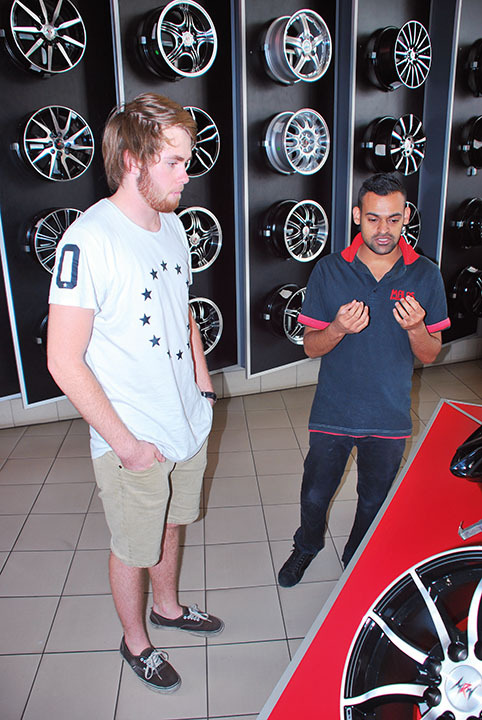 In fact, the seven staff members operating the alignment bays all recently underwent training on the new equipment, making them the first technicians in Africa to have this valuable know-how regarding the top-of-the-range John Bean V2300 and V3400 wheel aligners. Question Is its service really as highly streamlined and impressively quick as it claims? 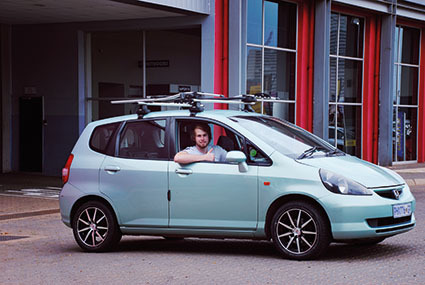 We put Malas to the test by asking the team to fit a set of wheels and tyres to a well-worn Honda Jazz driven by Tuks student James Burford. 1. 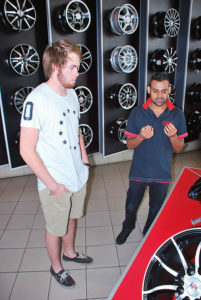 James listens intently while salesman Rishaad Mohamed explains to him the merits of various tyres and the implication of a potential inch-up conversion. He finally settles on 195/50 R15 Michelins, with the same diameter (give or take a millimetre) as the original 14” tyres, thus leaving the vehicle’s overall gearing unchanged. 2. 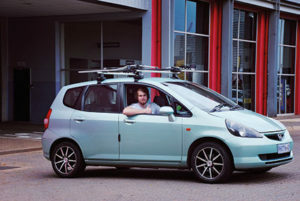 How about a set of alloys to jazz up your Jazz, James? He selects some handsome 15×6.5J rims from Malas’s own MRW range. 3. 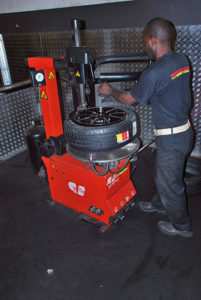 Mounting and balancing wheels requires specialised equipment and the process is dynamic. Pairing up the wheel and tyre so the minimum amount of weight is required takes practice and patience. 4. Because James now has new wheels, Malas uses new nuts, with a locknut on each wheel to keep his investment safe. The Jazz is starting to look the part. 5. 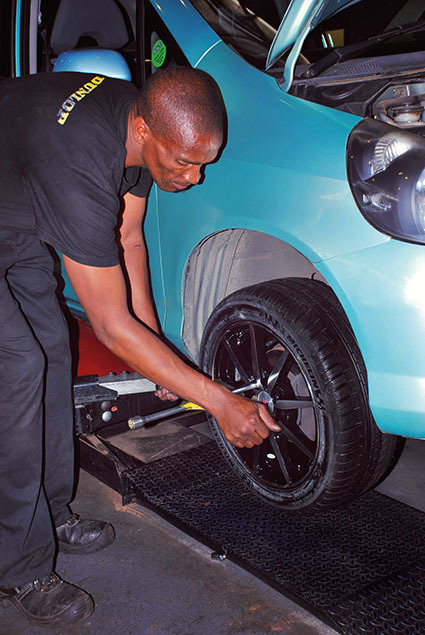 Fitting new tyres and not checking the wheel alignment is like making milk tart and not adding a sprinkle of cinnamon – completely illogical! 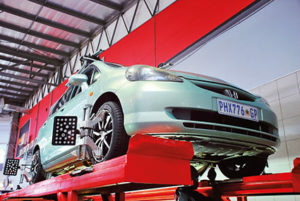 Misaligned wheels will cause poor handling, unstable braking and high fuel consumption. Here, the Jazz gets lined up on one of the John Bean workstations. 6. Thumbs up. James leaves the Malas workshop, his 345 000 km Jazz resplendent with a new set of wheels and tyres, expertly fitted and aligned. Answer Yes! Malas gets top points for location, range, price, service, expert advice and convenience. It lives up to the brand promise of offering a unique experience. 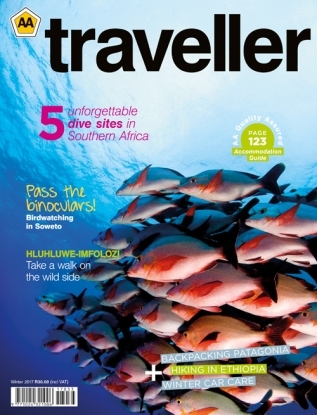 To contact Malas, call 012 357 7700 or visit www.malas.org.za.